AGC paramilitaries called on the ELN to refrain from attacks when calling a unilateral ceasefire this week. Colombia’s government said Tuesday that it will consider an offer by the country’s largest paramilitary and drug trafficking organization, the AGC, to surrender to justice. The request to surrender under conditions was made by AGC leader, “Otoniel,” on the group’s website and YouTube channel earlier Tuesday. As Central Command, we are more united than ever and with the strong will that Colombia achieves an absolute peace for the Colombian people. The group for years has demanded to be included in a peace process while the government of President Juan Manuel Santos has demanded the group surrenders. Santos immediately asked the government’s justice minister and prosecutor general to “evaluate the request” that he said he had received on Sunday. I have asked the Minister of Justice and the Prosecutor to proceed to evaluate that request and take appropriate action. The AGC was formed in 2006 and announced in 2008 by dissident members of now-defunct paramilitary umbrella organization AUC and has since grown to become one of Colombia’s most-feared illegal armed groups. 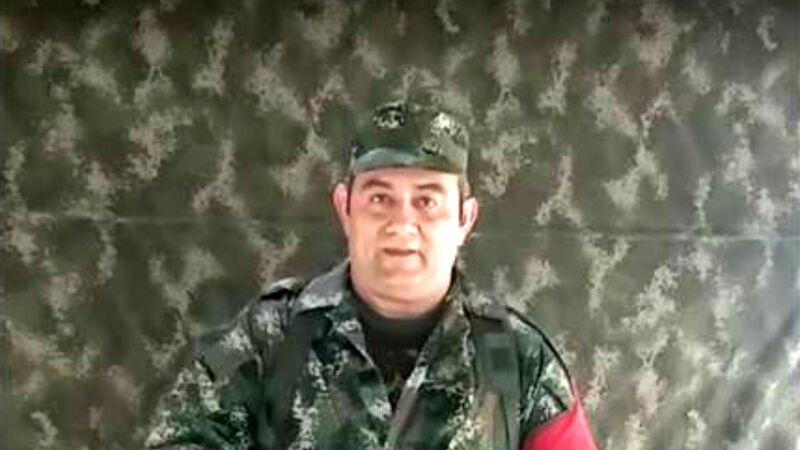 The paramilitary group has earlier claimed it had 8,000 members, making it significantly larger than the country’s largest guerrilla group, the ELN. The government has long estimated the group to be much smaller. While considerably the largest, the AGC is not the only drug trafficking paramilitary group formed by dissident AUC members. The public offer to surrender comes only a day after the ELN and the government agreed to a ceasefire and a year after the country’s largest guerrilla group, the FARC, laid down its weapons.